Fearless by Carly Phillips was so good. I loved Kane and Halley love story. Years of not seeing each other since high school, they reunite. Kane is a mechanic and Halley is a painter. When Halley needs her car fixed, he comes to the rescue. Kane can’t get Halley out of his head and won’t let her go without a fight. There was so much going on in the book that kept you reading. Between Halley’s past and family issues and Kane’s family made this drama filled. Great secondary characters that added to the story. I can’t wait to read the next story about her sister Phoebe! I recommend this book! I absolutely loved this book it was a heartwarming emotional filled story with some very intriguing character's. This was definitely a real page turner and kept you hooked till the very end. I highly recommend this great book. 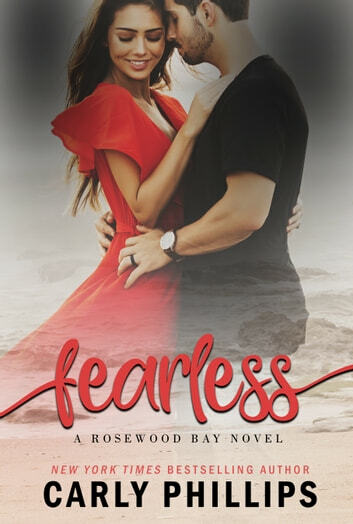 Carly Phillips has written another great book and a great start to a new series, I really enjoyed the whole story and can't wait for more from Rosewood Bay. Good book. Believable characters and relatively easy read. Halley & Kane have a history. One that goes back to the school days and misery. He was once her protector. Now Halley has found that she is very attracted to him as a man. Kane remembers the sad Halley who had so much in common with him in their youth. He is surprised at how beautiful she has become. Even more, he finds himself wanting to spend more and more time with her. To just be near her. Such a sweet and slow burn. This story finds two people with similar family issues, just trying to keep it together. The heat between them gets pretty hot. ***This ARC copy was given in exchange for an honest review.